I am going to bore you by waxing sentimental about how things have changed over the last 50 years…just a little. TV has changed, movies have changed and attitudes about everything from A to Z including what is right and wrong have changed. We live in a world where there is no “black and white anymore” (I am not speaking of skin color), everything is grey. Almost anything that is done or even thought about has to have “but this might offend some special interest” before it. The Pledge of Allegiance? Offensive. Displaying the American flag? Offensive. The word “God?” Offensive. And of course more and more courts are ruling that anything “offensive” to any special interest group cannot stand. Never mind the masses or the common sense and harmony of “live and let live,” if a tiny subset of society “might” have their feelings hurt…no can do. Forget about “laissez fare,” freedom of expression (except for the tiny subsets), truth, and justice or the American way…it’s all changed. And so has our money since …1971. “Gold is no longer money” we are told. Never mind that foreigners not only still think so, they believe it more now than ever in the past as judged by their import appetites. 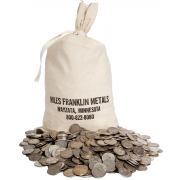 What used to be considered “wildly over valued” is now “undervalued.” Back in the 1950’s when the U.S. government DID have all of the gold and DIDN’T have an unpayable debt burden…rates were higher than they are now. “Risk” was actually compensated for by lower price and higher interest rates. “Risk” or value today doesn’t even enter into the equation as far as I can tell. On the flip side of Facebook is the mining industry. I say “flipside” because Facebook is something that is perceived to be indispensable yet isn’t and the mining industry is viewed to have zero necessity at all but actually will be seen as the foundation to the global financial system after the great unwind. The market caps of the entire global precious metals mining industry is roughly $300 billion or double that of the single company Facebook. Think about $300 billion for a moment, what does it equate with and compared to what? Well, how about “QE” pre taper? 3 ½ months worth of Fed “pumping?” Or “our” deficit? Roughly 3-4 months time? Or maybe 7 or 8 months of our current account deficit? Do you remember TARP and how that was rammed through Congress? That was $700 billion…with the stroke of a pen (and some arm twisting)…and presto it “existed” at over double what all mines added together are now worth. We could of course talk about the $17 trillion that the Fed conjured up out of thin air and “secretly” (for over 1 year) had also lent out in late 2008 “to save the system”…this is a little over the top but that little escapade was nearly 60 times larger than the “value” of the global mining industry! “Who cares? You’re an idiot Holter and comparing apples to oranges…and besides gold and silver aren’t money and are meaningless anyway…so the mining industry is lucky to have ANY market cap value at all!” (It’s OK, I figured I would jump the gun and print what many would like to comment or at least thought of before the comments came rolling in). The point is this, gold and silver are money, and they have always been money. What people perceive to be “money” today has been proven many many times throughout history to have been valueless? Fiat (unbacked) paper money has been “promoted” over the last 40+ years to actually “be” money and to have value on its own…this is the “perception” which is what counts at any given time…but when all is said and done, “perception” is just that and the reality is what will count. When the global and systemic Ponzi scheme(s) in anything and everything financial does finally unwind the “perception” will change and the reality that gold and silver actually are money will become apparent. It is at this point that the global mining industry will again be perceived as “important,” actually a necessity! While mining is considered a joke or a sideshow right now, an economy cannot perform or sustain without “money.” When the current freely created “monies” blow up, and they will, the “production” of real money will come into fashion again. Many of you do not know that 100+ years ago the mining industry was considered like a utility that was a suitable investment for widows and orphans. They were like banks that truly stood on a solid foundation and paid stable dividends. Even for those who do not believe in mining but do understand gold and silver as money…someone, somewhere must “create” money supply in the future and that would be the world’s mines. Please remember what JP Morgan and Mayer Rothschild said, “Gold is money, everything else is credit” and “give me control over a country’s money supply and I care not who its ruler is” respectively. They were correct when they made these statements and are still correct to this day. From my point of view, perceptions change with time but they do not change the fundamental realities. The “realities” after all when all is said and done are what will count… while the “perceptions” at any given time will be forgotten or at best reside books. This is not the world I was born into 63 years ago. I am personally finding it very sad. You are right Holter you are an idiot….after all it was that brilliant scholar Ben Helicopter Bernanke who said to Ron Paul, “Gold isn’t money” or somethign to that effect. We…you…us…we could never measure up to his STUPERIOR insight into real money. Logic will eventually prevail especially with Yellen at the helm. Yea right…this whole thing is like watching the Road Runner vs. the Coyote…….we are the coyote in my view, and the far east is the RR. Sarcasm aside monetary sanity will eventually prevail, but it will decimate many on it’s way to normalcy. Even those who hold physical pm’s may be hurt by the stupidity we are witnessing, but it is one of the few true insurance policies honest people can defend themselves with. Again just my humble opinion. Keep up the good work Bill…..maybe one day you can aspire to the ‘honest brilliance’ that is at the core of the banking industry…..NOW THAT IS SARCASM…!!!!!!!!! And, not the brilliance the “HONEST” part..!!! I always read your posts, Bill, and think this one, as well as “The Supply Has To Come From Somewhere,” are among your best. I say this because in these two articles you touched on viewpoints that I’ve seen no other precious metals writers address. Insightful to see that refining activity should, logically, be merely commensurate with what is physically provided by mines and scrap, so what explains round-the-clock refining hyperactivity? Equally insightful to see the incredible irony of perverse valuations attributed to the actual, physical nature of the mining industry on one hand, and the merely virtual nature of a company such as Facebook on the other hand. (Sadly, you’ve also shown yourself insightful regarding the deterioration of our culture.) Nevertheless…..Well done! Thanks Robin. The refining activity is called “erasing the fingerprints”. I did not plant in my backyard and started digging for potatoes and did not find any. I was thinking like the FED I could create some potatoes out of thin air. Then it dawned on me, “I do not have a potato printing press”. So I am now in the process of building a new one(out of thin air), and using it to create a surplus of potatoes to continue my potato scheme. However I am confindent my potatoes will have a value of whatever people are willing to pay or I can access to them. Why because unlike gold and silver(which by the way are real money), the illusion of potatoes is more entertaining and accepted than providing any potatoes at all. Here is something to consider by us gold and silver idiots: “when up is down and down is up, find some place secure because very soon plenty of S%$t will be splattering all over the place”. Just be sure that you have your umbrella or some form of shelter because that kind of mess is not so easy to clean up and it stinks! I do believe that with the way these markets are moving, something stink comes our way and no febreze will hide that stench! Many times Brother Bill has mentioned how even his own family sees him as, let’s say, “half baked” at times. I’m there. Likely a lot of you who read Bill’s missives can relate to this experience too, i.e., those in your personal circle see you as a nut case. I come to this forum every day to commune with like minded people. I have personally never been a “blood is thicker than water” type. In my mind my relatives are those people who are more related to me on a spiritual level, or those who are, “like minded” if you will. I see Bill, and most of you, as my kin, or at least as “kindred spirits.” In my view what ties us together more than anything else is what Bill sometimes refers to as, “common sense.” I like the terms “good sense” or “logically minded,” but the point is that we are, in my view, dealing with reality as opposed to the fantasy world the masses are living in. I heard of a “thing” some National Media Figure did. He interviewed people on the street the day before Obama’s State of the Union Address, asking them if they had listened to the speech, and if so what they thought of it. They all said they had listened to it and thought it was a good speech. This illustrates the problem. These people have, as Lee Iacocca put it, “their heads up their iPods.” I’m sure they all voted for Obama (both times) and yet, while they clearly have no clue what’s going on in the world around them, their votes are worth as much as yours or mine. We are living in a crazy mixed up world to say the least. But at least we have each other to help us hold our sanity together and I take great comfort in that. I sincerely feel like coming here, and reading Bill, and your comments regarding the things he points out, are something I need at the end of each day to maintain my center. We certainly are not going to get any truth or insights from the media, the government, or even many of those we hold dear in our own families. What binds us “Holters” together are logical minds that deal in factualities; that and the desire to remain free men and women in a world which seems hell bent on destroying individuality and individual freedom. As Brother Bill pointed out above, anything that might offend any one is now taboo. I just finished reading a book titled, “After America” by Mark Steyn. In one chapter he mentions a cartoon he saw, there was a picture of a normal brain and under it the caption read, “This is your brain.” Next to it was another picture of a shriveled anemic peanut sized brain, the caption under this picture was, “This is your brain on Political Correctness.” Mr. Steyn went on to point out examples, we’re all aware of them. The TSA takes the six year old white kid in the back room prior to the flight and strip searches him while ignoring the dark skinned Arab wearing the turbine, this to prove we do not, as a Nation, discriminate based on the color of a man’s skin. That’s all well and good, but do we have to pretend we are stupid to prove it? THE WORLD HAS GONE STARK RAVING MAD! We Holterites have to deal with it. I thank God for Bill and the rest of you, because you affirm to me that at least not everyone in the entire county is deaf, dumb and blind – and that does help – it helps a lot. thanks Don, yes we are a very small subset. Money is whatever the man with the gun says it is and for now that man is Uncle Sam and so the dollar is the world’s ‘money’ or more accurately the world’s (reserve) currency but actually everybody’s currency as all currencies are derivatives of the dollar. The real money backing the dollar is the Unit of Destruction. That is not being degraded or inflated but rather more UDs are produced every year, the military budget expands continually providing ever more backing for each dollar. The USA could fight and win a war against the rest of the world and the rest of the world know this – for now at least. Yes, indeed. However the present system is taking us inexorably towards WW3, economically it has already started. The non-USA aligned rest of the world will want to escape the US hegemony, which is very difficult as the US military advantage (the production of Units of Destruction) can be endlessly maintained by the ability to fund itself at the world’s expense via the reserve currency – a perfect feedback loop for the USA since 15th August 1971. Given this their strategy is defeat the dollar as reserve currency and cut of the infinite funding for the USA military. To do this they need to have a credible alternative i.e. 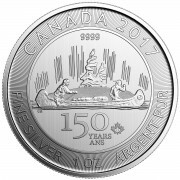 a currency backed by gold/silver. So WW3 has already started and it is being fought essentially between two currencies: a global fiat (dollar) and gold/silver (to back some kind of global currency probably a currency that would be legal tender in China, Russia, India and Brazil let’s say and a reserve currency elsewhere.) Hence the move of gold/silver to the East which is the start of WW3. The problem? The USA will fight to keep the dollar as the reserve currency as without it its military advantage would rapidly dwindle as it could no longer outspend the rest of the world on producing UDs. It would strike as soon as the dollar was imperilled as its advantage would wane very quickly once the dollar was lost as the reserve currency. Also, the nature of modern total warfare will be to give massive advantage to whoever strikes first as it is a war to be won in minutes. I think we are very close. NB a UD or unit of destruction can encompass a ‘soft’ unit of destruction – or ‘intelligence’ which has always been part of a military structure based on UDs. For example I would credit the NSA as being worth a several trillion UDs as Ed Snowden has alleged on German TV that it can potentially front-run any invention made by any person, company or state as soon as it is discussed on the internet – well before it is submitted for peer review! Military hardware invention is not patented. All part of the intrinsic worth of the UD. the dollar already is and has been threated for several years. Gold and Silver were depressed in the late mid-late 80 through to end of the 90s as the USA was winning the cold war, thereby acting in their role as the anti-dollar. 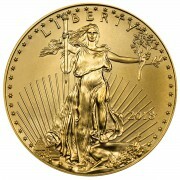 After the early 2000s as China emerged as a credible challenger to the USA, gold and silver rose. Over the last 2.5 years these two precious metals have been depressed as the sheer extent of the USA’s global intelligence power has become explicit in the public domain (Chelsea Manning, Ed Snowden etc) combined with as clear a victory over the terrorist threat as can be achieved in a war without end. If you want to understand the move in precious metals prices look at how strong the USA is perceived to be by the markets. Just one word Mr. John Law…..NO! How strong I mean to refer to the strength of militarily hardware, bases and intelligence superstructure NOT solvency from accounting rules/the financial numbers which are both simply irrelevant and have been since 1971. Why not? Just saying ‘No’ is not good enough. The USA defaulted on its debt on 15th August 1971 and has never looked back cheerfully ignoring the increasing debt as it knows it simply does not matter. By numerical accountancy rules the USA was insolvent when it closed the gold window as it could not pay its debt in gold – which was then money. Now it is several orders of magnitude further in debt in terms of fiat currency. Who cares? Not Congress. Not the President. Not the people. So there is no debt limit. Why? strength is now monetised in the Unit of Destruction. The reserve bank of the UD (the USA military) has an ever growing military advantage over all other countries combined – as it should for the system to work. This provides a credible claim on all the world’s resources and wealth – including all the precious metals above and below ground. Recently the USA established a base in Australia….rich in silver! I remain 100% invested in physical silver but that is a moral choice, I have no illusions as to what the powers that be will do to keep the current system in place. A dollar crisis (the flip side of precious metals being valued by market forces alone) would be as significant an attack on the USA as a military strike. 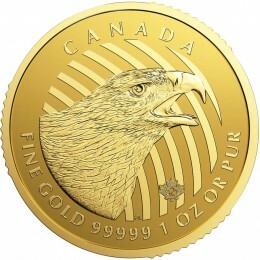 The valuation of gold and silver is a national security priority for the USA. When will precious metals commentators address the elephant in the room…the USA global military reach / Total Spectrum Dominance which can only exist on the back of a global fiat reserve currency which pays for it. Your readers deserve better! Global money is the Unit of Destruction and has been since that fateful day in 1971. Face the facts, denial is not an answer. Sorry John Law, the military must be “funded” to operate. “No” is my answer to you as I believe you are wrong. If my writing is not “good enough” and you deserve better…please go and read “better” and don’t waste my time with comments that are not thought through completely. We cannot FORCE the world to use dollars anymore…this you will soon see.